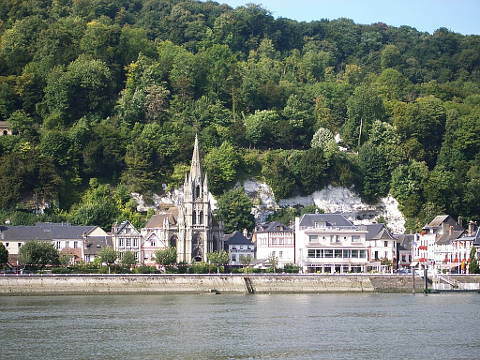 La Bouille is situated on the Seine River 20 kilometres south-west of Rouen, in the Seine-Maritime department of Normandy. The village is in a pretty setting backed by tree covered hills. 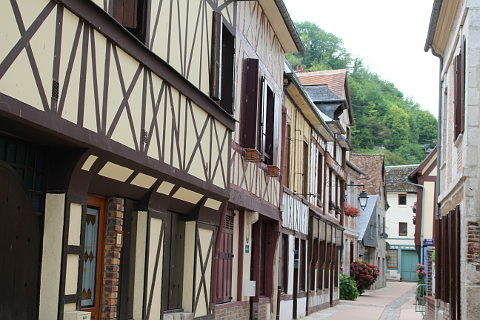 There are a few highlights to discover in La Bouille, mostly vestiges from the town's medieval past. 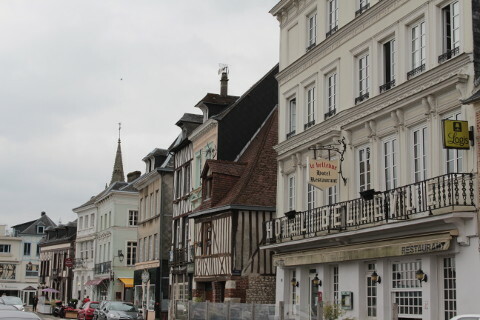 La Bouille stretches out along the edge of the Seine river as it goes into its final meanders before entering the sea at Honfleur. 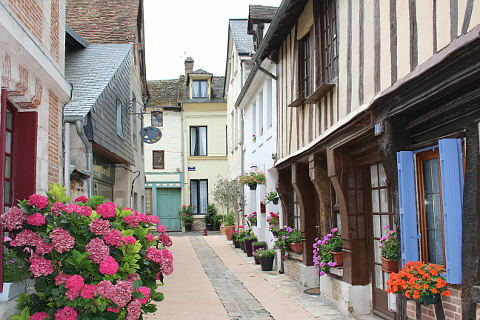 On the rivers edge the main shops are on the Quai Hector Malot and behind this the Rue du Docteur Magalon is a quiet historic street where you can see the attractive half-timbered house where King Louis XVI held a meeting with the English ambassador in 1467. The house was already at least 100 years old when the meeting took place. 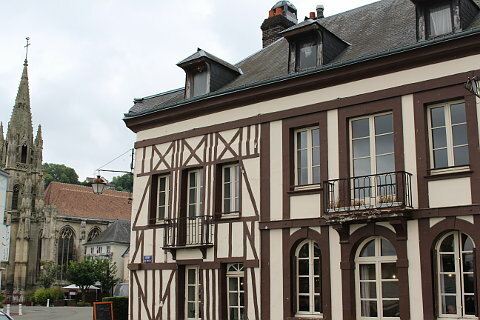 Another impressive example of 15th century woodwork can be seen in the wooden statue of Saint Michel adorning a building in Place Saint Michel. 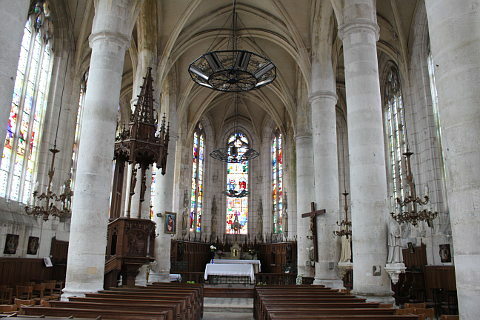 The Church of Sainte Madeleine, in part dating from the 15th century, dominates the town's skyline - step inside to admire the stained glass windows. 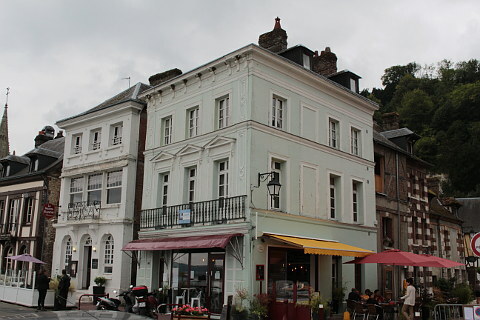 The Salt Cellar on Rue du Colonel Périn, now an unimposing ancient building, was once at the heart of the unpopular 'salt taxes' imposed in the region. 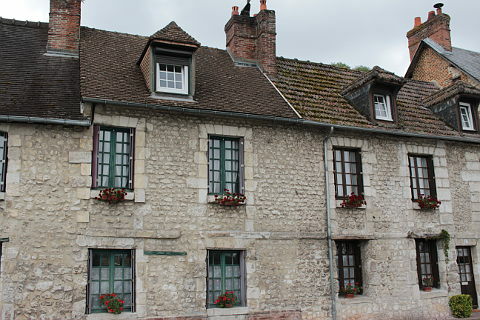 There are also several impressive 18th century townhouses to discover in La Bouille before you stroll along the river front and perhaps stop in a cafe for a coffee break. 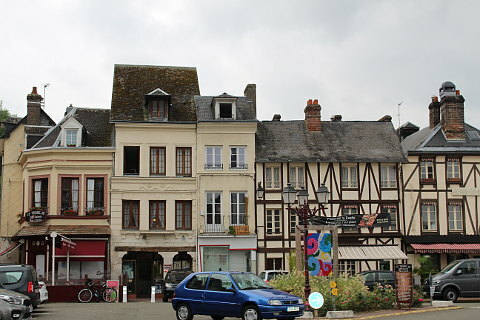 La Bouille is also one of the crossing points for the Seine River - there is no bridge here but a boat called a 'bac' carries cars and passengers back and forth to Sahurs, on the northern side of the river. 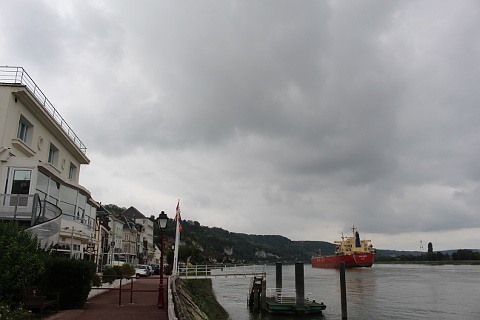 As it is quite close to the sea there are regularly cargo boats travelling up and down the river as well as smaller vessels. La Bouille has been the subject of paintings by Paul Gauguin, William Turner and Alfred Sisley amongst others and the painter Pierre Eugene Duteurtre lived for a long time at La-Bouille. 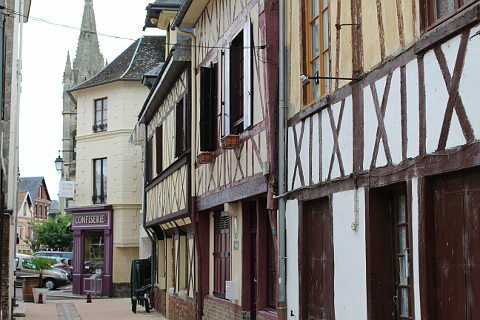 Apart from walks along the river and in the surrounding countryside you can visit a couple of the villages near La Bouille. 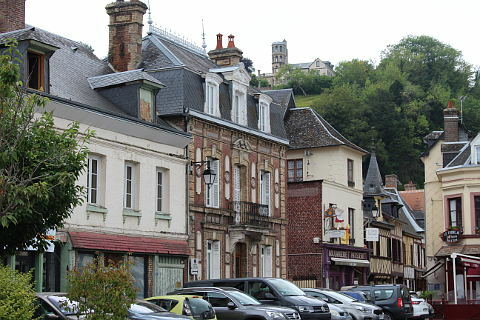 Among the most interesting are La Maison-Brulée, with two 19th century chateaux, and Moulineaux, named for the water mills that can be seen along the riverside, and see also a curious memorial in the form of part of a ruined castle tower to those who died in the Prussian invasion of 1870 and called the 'monument du Qui-vive'. Jumieges and its abbey is a popular excursion.